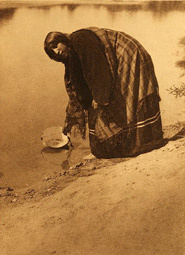 Beginning in 1900 and continuing over the next thirty years, Edward Curtis took over 40,000 images and recorded rare ethnographic information from over eighty American Indian tribal groups, ranging from the Eskimo or Inuit people of the far north to the Arapaho people of the Southwest. 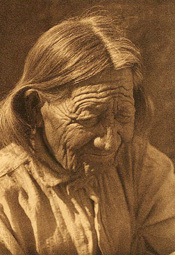 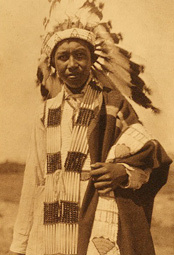 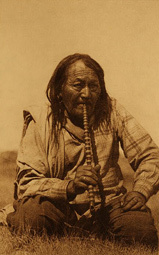 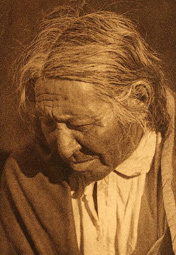 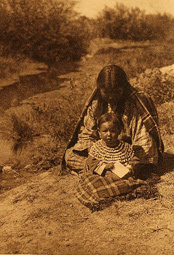 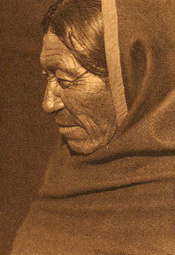 Although Curtis made hundreds of images of many tribes, he made only nine images of the Arapahos on the Wind River Reservation, which suggests that he spent only a short time with them. 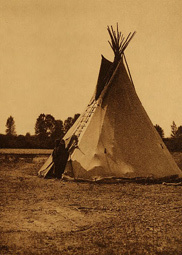 The historical records do not explain why this might have been the case. 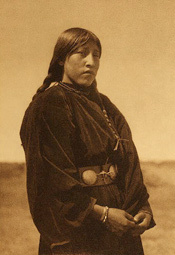 It is an intriguing mystery, one of the real mysteries in history, and in Wife of Moon, Margaret has imagined circumstances that could explain why the photographer's stay among the Arapahos had been so brief.